It's drawing to a close already. This year is zooming by so quickly you really have to pay attention!! We're halfway through the school holidays, and its Easter Monday and ANZAC day here. MIL left for home this morning after staying for the long weekend (and pilfering a pair of handknit socks while she was here ;-P). The boys have chomped through a third of their Easter eggs (but oddly enough, have not requested any today yet). Deane is officially 32 years old, which means I will be 32 in about six months time. Scary. 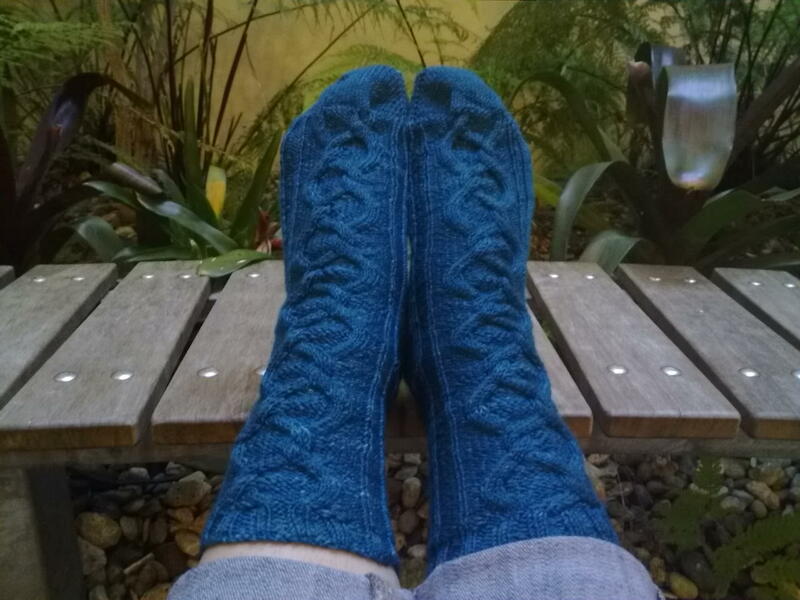 I've got 4 1/2 repeats left on the feet of my Firenze socks, before starting on the toes. 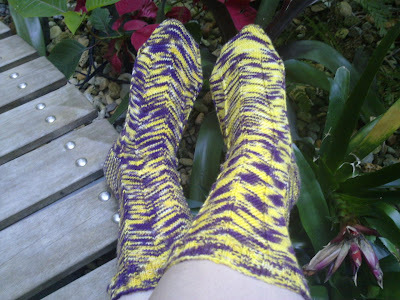 I'm trying to get these finished today - the pattern specs for Round 4 of Sock Madness have been released!! And I haven't even started knitting the optional round socks!! Poop :-( The pattern looks awesome - Diamonds in the Fluff (Ravelry link). They were designed by a fellow Needles of Fire team member, so I'm definitely going to knit them, just not yet. I have the perfect Needle Food yarn to knit them in too. Can't wait! The HPKCHC is about to start a new term, so its time to start thinking about another OWL project. Although I'm seriously starting to run out of options. Maybe two cardigans for Transfiguration - the Featherweight and the Simplicity (both Ravelry links). Too much of a challenge perhaps?? 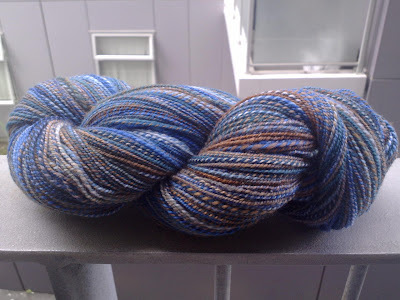 Or maybe a shawl for Ancient Runes using my handspun. Remember this? I'm thinking either a Swallowtail, Holden or an Echo Flower (all Rav links, again). Decisions, decisions. 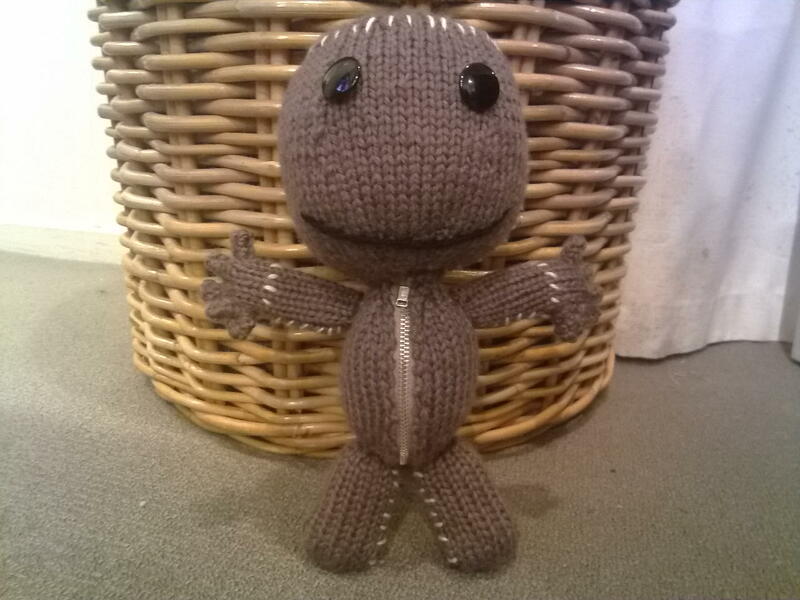 PS: Almost forgot to mention, I finished the Sackboy I was making for my nephew! I have no idea where this is going just yet, so it's probably going to be all higgeldy-piggeldy, but still mildly interesting (I hope). 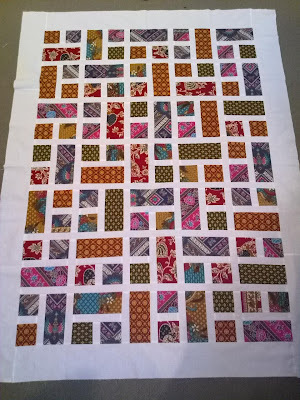 First up - I finished my quilt top!! Ta da!!! The intended recipient arrived a whole four weeks early, so she'll just have to wait a bit for her surprise pressie. Having said that, I don't think a newborn is going to notice a late delivery. Her mum might though - don't worry Jane, it's on the way!!! 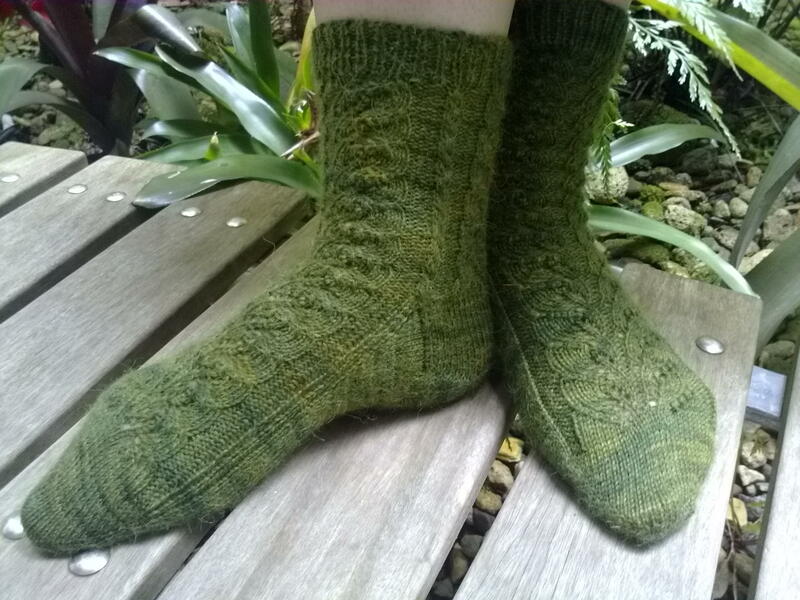 Another of what I like to call 'Ravelry Classics' done and dusted - Jaywalkers by Grumperina (Rav link). 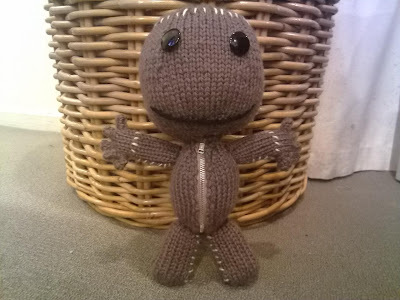 I've knit all the body pieces for the Sackboy (Rav link) I'm making for my nephew, but can't go any further until I get a zip and some eyes for him, and stuffing (although I may end up using some non-descript fibre I have lying around. Mmmmm, woolliness...). No point taking pics of the body pieces, they just look like weird curled-up pieces of knitting. Cast on another pair of socks, as I needed something I could do at knitting group on Wednesday - Firenze the Centaur, which we're doing as a knit-along in one of the Harry Potter groups on Ravelry. Don't think I'll get far on them though - the Round Three specs have been posted for SM5!!! This pair has cables - ooooooh, exciting!! Should have the pattern in the next day or two, I must prepare. 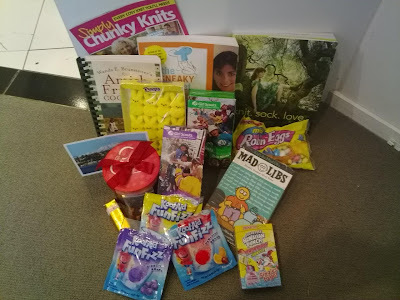 Received a parcel in the mail yesterday from my good buddy Jill over in Virginia, USA. Look at all that teeth-rotting goodness!! Peeps, and Cookies, and S'mores! Oh my! Don't worry though - I sent her a large box full of chocolatey goodness too. We'll all have huge dental bills!! Nobody misses out ;-) And she was very sweet to send me Knit. Sock. Love by Cookie A - one of my all-time favourite sock designers. I am pleased beyond words - so many gorgeous socks to knit!!! Wow, looking back through this post, I think I have more than used up my quota of exclamation marks today. Too much excitement. 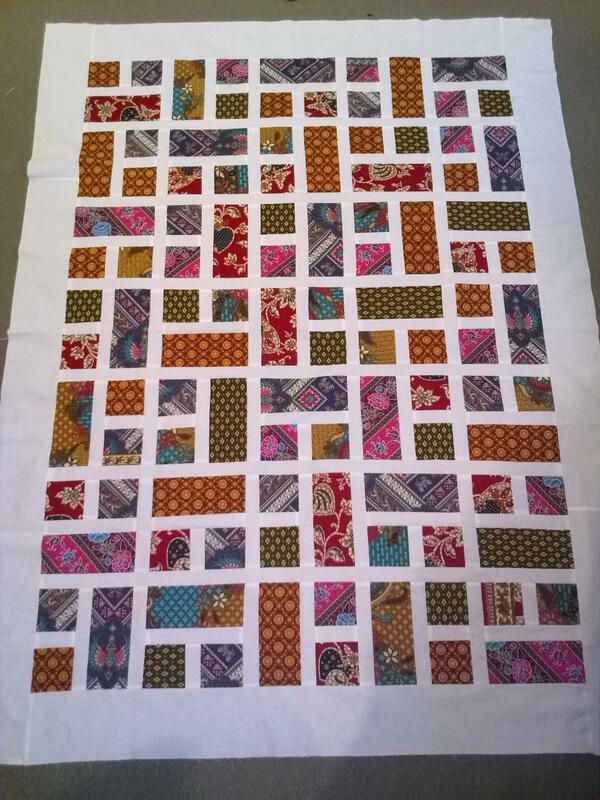 I must sign off and relax a bit before heading out to buy quilt batting, zips and eyes.